Tailor Ed Foundation is an Edinburgh based charity which supports families who have a child with autism. Our aim is to improve day to day life and we do so via a range of services including home based interventions. 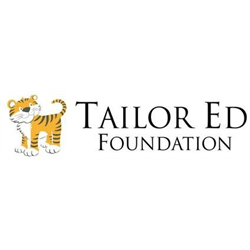 BTA (Bruce Tait Associates) are delighted to be working with Tailor Ed Foundation in their search for a Fundraising Manager. Tailor Ed Foundation is a service provider for families raising a child with autism, supporting them with the day to day challenges they experience. Currently working across Edinburgh, the charity supports around 150 families a year to live their lives to the full, working with them on targeted support with communication, personal care, daily stresses and life events. There is also an early years’ service which is a 12 month supported programme which includes parent training and ‘learning to learn’ for the children, helping them to develop vital listening and play skills. The Fundraising Manager will be responsible for researching and cultivating relationships with funders, across all pipelines, with a particular focus on Trusts and Statutory funders as well as exploring the corporate income stream potential. Producing high quality applications and maintaining strong relationships with all supporters will be key to success in this role. You will be a strategic thinker with the ability to manage multiple projects and relationships. There are no direct reports with this role but you will be able to develop the volunteer base to support with fundraising activities in the community and at corporate events. If you have experience of developing and delivering a fundraising strategy, are a dynamic and self-motivated manager with a passion to work in a small but ambitious organisation then this is your chance. This search is being conducted exclusively on behalf of Tailor Ed Foundation by BTA.